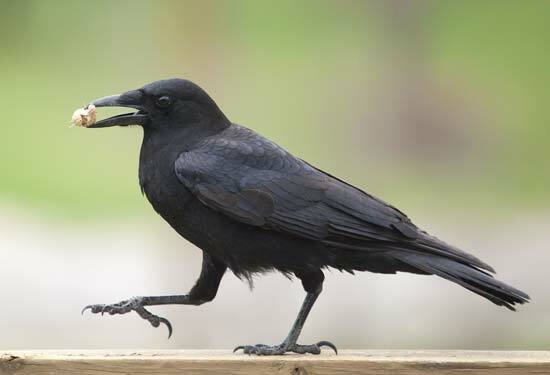 Crows are clever, smart, and natural-born scavengers. They tend to collect objects that catch their eye—usually things that shine or reflect. Eight-year-old Gabi Mann knows this all too well. Crows seem to love her Seattle backyard garden and bring her all sorts of interesting objects. 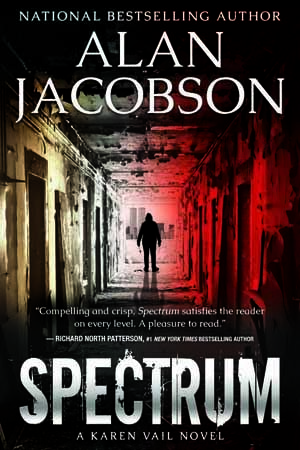 In my Dub Walker thriller series, I visited Dub with a pair of crows, Kramden and Norton, who bring him stuff all the time. pine tree after their mother disappeared. Probably killed by a hunter. Dropper feedings, then mushed-up worms and grains, and they grew into annoying young adults. That’s when I opened the walk-in cage I had built for them and let them take to the sky. They now roamed all over the county with others of their kind but managed at least one visit a day here. Usually for food or to bring some shiny object they had picked up. 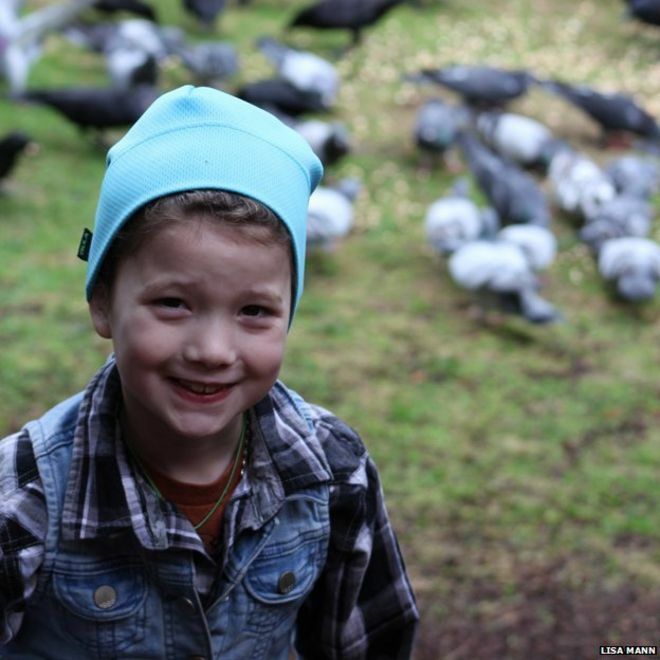 Crows are natural thieves and love anything with a gloss to it. Norton was the best thief; Kramden was the fat one. And the noisy one. worked the keyboard. Norton stood to one side, eyeing her. cheeses and crackers I had prepared earlier. Norton snatched it and bounced across the table and out into the yard. Kramden followed and a squabble erupted. Once they devoured the cracker, they swirled into the sky, still going at each other, and headed west, their silhouettes starkly black against the red-orange sky, their cawing echoing off the trees. Time for them to find a roosting spot. 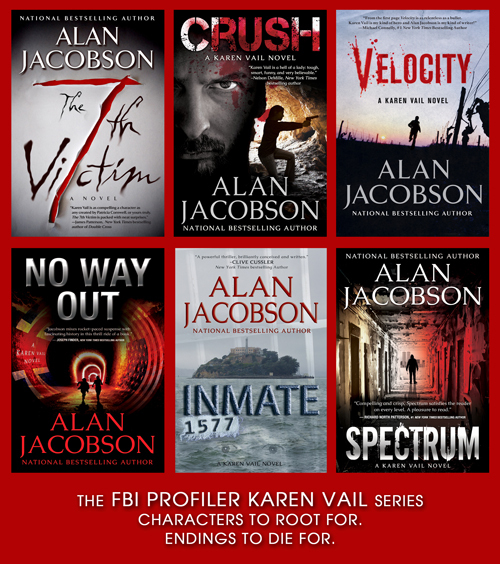 Are you an ITW member or are you going to ThrillerFest this July? Don’t miss this terrific opportunity! Imagine having Steve Berry, Grant Blackwood, Lorenzo Carcaterra, David Corbett, Steven James, D.P. 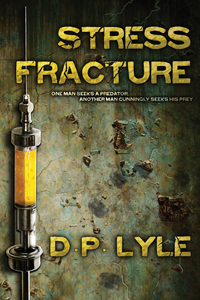 Lyle, MD, or Gayle Lynds reading your work! All you need to do is craft your very best first sentence and email it to bestfirstsentence@gmail.com. You have seven chances to win, since each teacher makes his or her own choice. 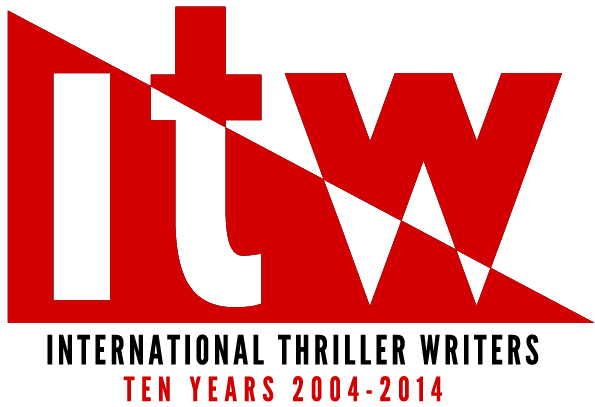 To qualify to enter, you need to be attending ThrillerFest or you need to be an ITW member. You can only enter once. Winners will be announced at the CraftFest Luncheon on July 8, 2015. 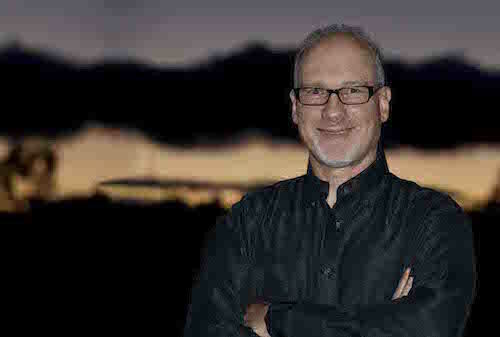 See the winners of last year’s contest at http://thrillerfest.com/best-first-sentence-contest/. Get inspired, then get those entries in—the deadline’s almost here! Does “Body Recognition” Compare With DNA? The forensic anatomy researchers at the University of Adelaide think this just might be the case. If so, this technique might be useful in identifying criminals and missing persons from photos and videos where facial features aren’t clearly shown. Anthropomorphic measurements for identification aren’t new. In fact, they are over 100 years old. One of the pioneers in this endeavor was Alphonse Bertillon who devised a system hat became known as Bertillonage. It was the standard until fingerprints proved more reliable and discriminatory. Anthropometry (anthrop means “human”; metry means “to measure”) is defined as the study of human body measurements for use in anthropological classification and comparison. Simply put, it is the making of body measurements in order to compare individuals with each other. Using anthropometry, French police officer Alphonse Bertillon (1853–1914) developed the first truly organized system for identifying individuals in 1882. Believing that the human skeleton did not change in size from about age twenty until death and that each person’s measurements were unique, he created a system of body measurements that became known as bertillonage. measurements were 286 million to one. This belief led Bertillon to state that all people could be distinguished from one another by key measurements, such as height, seated height from head to seat, length and width of the head, right ear length, left little finger length, and width of the cheeks, among others. His greatest triumph came in February 1883, when he measured a thief named Dupont and compared his profile against his files of known criminals. He found that Dupont’s measurements matched a man named Martin. Dupont ultimately confessed that he was indeed Martin. For many years, this system was accepted by many jurisdictions, but by the dawn of the twentieth century cracks began to appear. The measurements were inexact and subject to variation, depending upon who made them. And because the measurements in two people who were of the same size, weight, and body type varied by fractions of a centimeter, flaws quickly appeared and the system was soon discontinued. 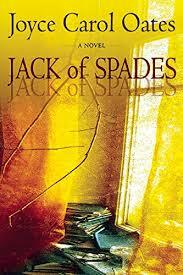 Its death knell tolled with the famous Will West case. Though landmark in its importance, this case was an odd comical coincidence. clerk apparently thought that the man looked familiar, but the new inmate denied ever having been in the prison before. As part of his intake examination, anthropometry was performed and officials were surprised to find that Will’s measurements exactly matched those of William West, another inmate at Leavenworth. The two men even looked eerily similar as if they were twins. They were brought together into the same room, but each stated that they were not brothers. Fingerprints were then used to distinguish between the two Wills after which Leavenworth immediately dumped anthropometry and switched to a fingerprint-based system for identifying prisoners. New York’s Sing Sing prison followed a month later. But was the similarity between Will and William West just a bizarre coincidence? Not really. A report in the Journal of Police Science and Administration in 1980 revealed that the two actually were identical twins. They possessed many fingerprint similarities, nearly identical ear configurations (unusual in any circumstance except with identical twins), and each of the men wrote letters to the same brother, same five sisters, and same Uncle George. So, even though the brothers denied it, it seemed that they were related after all. Serial numbers on firearms offer investigators a reliable method for tracing ownership. To avoid this connection, criminals will often attempt to obliterate these by scratching, gouging, and grinding the numbers away. Or at least damaging them so that they become unreadable. Now those clever folks at the National Institute of Standards and Technology (NIST) have developed a new method: Crystal Pattern Mapping. This technique employs a Scanning Electron Microscope (SEM) and reads the electron backscatter diffraction (EBSD), which reveals the obliterated numbers. 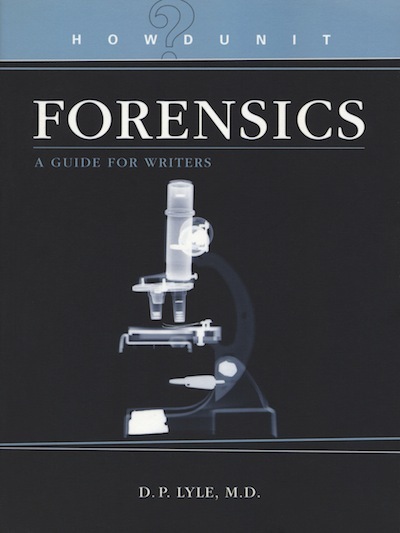 An intriguing and useful new tool for the forensic scientist. Sometimes it’s obvious that a particular gun was the murder weapon. It is found at the crime scene, along the perpetrator’s escape route, or where it was discarded, and the forensic fi rearms examiner matches the gun to the bullets removed from the victim. But that information doesn’t identify the gun’s owner or who fi red it. In this situation it is useful to discover if anyone had registered the gun. Even if the registered owner is not the killer, he might have given the gun to someone, or it might have been stolen and the murder and the gun theft can be linked. Comparing the evidence in the two cases would move the investigators closer to identifying the perpetrator. But criminals are clever. They often attempt to grind or file away the gun’s serial number in the hopes that the weapon can’t be traced. If so, the examiner has a few tricks he can employ in these situations. The most common are magnaflux, chemical and electrochemical etching, and ultrasonic cavitation. 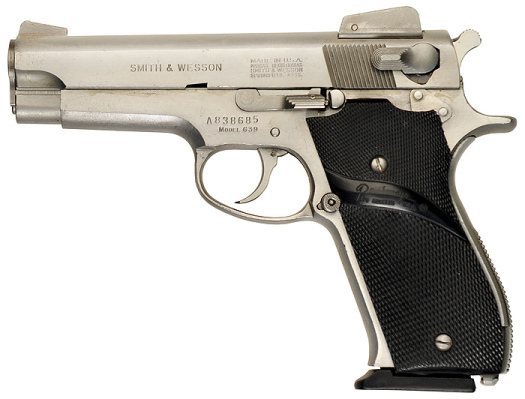 Each relies on the changes in the structure of the gun’s metal that follows the serial number stamping process. When the metal is pressure-stamped, not only is the metal indented with the numbers, but also the metal beneath the numbers is stressed and undergoes structural changes. MAGNAFLUX: This is only useful if the weapon is composed of iron-containing metals. The gun is placed in a strong electromagnetic fi eld or beneath a strong magnet, which magnetizes the weapon. The lines of magnetic force in a magnetized object usually run parallel to each other, but the disordered metal beneath the stamped numbers disrupt this order. The gun is then sprayed with a special oil in which iron-like particles are suspended. The particles tend to collect in the areas of disordered metal, thus revealing the hidden number. The major advantage of this process is it is nondestructive and doesn’t alter the weapon. CHEMICAL AND ELECTROCHEMICAL ETCHING: These are destructive processes, which limits their use. They involve the painting of an etching solution over the area in question. The chemical eats the disordered metal faster than the surrounding metal, and thus brings the numbers into view. Adding an electric current (electrochemical etching) hastens the process. Either of these must be done carefully, since over-etching will destroy the evidence forever. ULTRASONIC CAVITATION: This technique is similar to chemical etching and is also a destructive process. The gun is placed in a special ultrasonic bath and exposed to very high-frequency vibrations. This causes cavitation, a process in which tiny bubbles form along the surface of the metal. With continued exposure, the cavitation begins to eat away the metal. 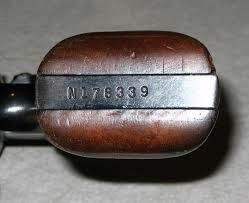 The process is fastest in the areas of disorder and, as with chemical etching, the serial number might be revealed.